Our consumer culture seems to hold that it’s better to throw something away than use it up. In fact, we are so obsessed with “new” that we often don’t worry about making something last. Sometimes, we rationalize buying new things because it’s so inexpensive to do so. However, just because something is cheap doesn’t mean we should spend money on it. In fact, spending money is still spending money, even if it is a relatively small amount. This applies to clothes just as much to anything else. While it’s nice to buy a shirt or a pair of pants at a great sale price, there is more money to be saved in making your clothes last longer. Consider the resources spent in making new clothes, and consider how much you could save by extending the life of your clothes, and you’ll find that, on balance, you’re better off financially. Plus, knowing how to make your clothes last longer will be more sustainable as well. The biggest cause of wear and tear to clothing is the washer and dryer. The washer can twist and pull on clothes and the dryer breaks them down further. Take a look at all the lint in your dryer’s filter. Lint is made up of fibers from your clothes. A lot of lint is a sign of just how much your laundry day is wearing out your clothes. 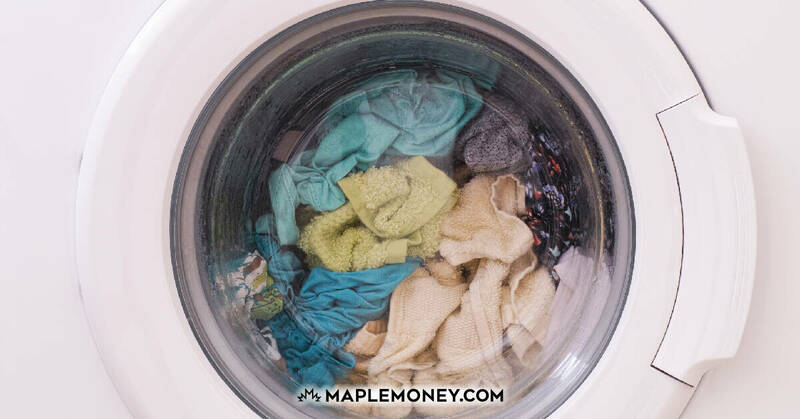 So if the washer and dryer are causing most of the damage, what can you do to keep your clothes looking new for a longer time? First off, you might not need to wash your clothes every time you wear them. If you wear your shirts and jeans two times before washing, you’ll have instantly doubled the life of your clothes and save on your water usage. You obviously don’t want to overdo this because you don’t want to put on dirty clothing. However, there are some actions you can take can help you get a couple of wears out of your clothing. A lint roller can clean off a lot of the little bits of dust and pet hair that are more cosmetic than truly dirty. A Tide To Go pen is great for the occasional spot: you just rub the stick on to the stain and it disappears. Of course, making sure that you don’t smell will help ensure that your clothes don’t either. So on top of showering, deodorant and perfume or cologne wouldn’t hurt! Practice proper hygiene, and your clothes won’t get dirty or smelly as quickly. Even when you do wash your clothes, you can help protect them by washing in cold water on a delicate cycle. Turning your clothes inside-out before washing can protect their colours from fading. Using bleach, if safe for your clothing’s fabric type, is a great way to make white look brand new. And when it comes time to dry your clothes, line drying will keep them from the heat and agitation of the dryer. These steps will also help you save on your electricity and heating bills. With a little creativity, you can preserve your clothing, and reduce your utility costs. It’s a great way to save even more money. It’s also possible to repair your clothing to extend the amount of time you keep certain items. You might be surprised to find out that there are a number of simple things you can do with a sewing machine to repair your clothes. Even beginners can use a sewing machine. Some of the simple tasks you can accomplish include adding patches to jeans and hemming pants up a quarter inch when the bottoms become worn. It’s also fairly simple to sew buttons back on to clothing. Save the extra buttons that come with most clothes so that you have them later. There is no reason to throw out your clothes and buy new when you go through the effort to take care of your things. Start out by being careful of how you wash and dry your clothes, and then learn basic repair techniques. 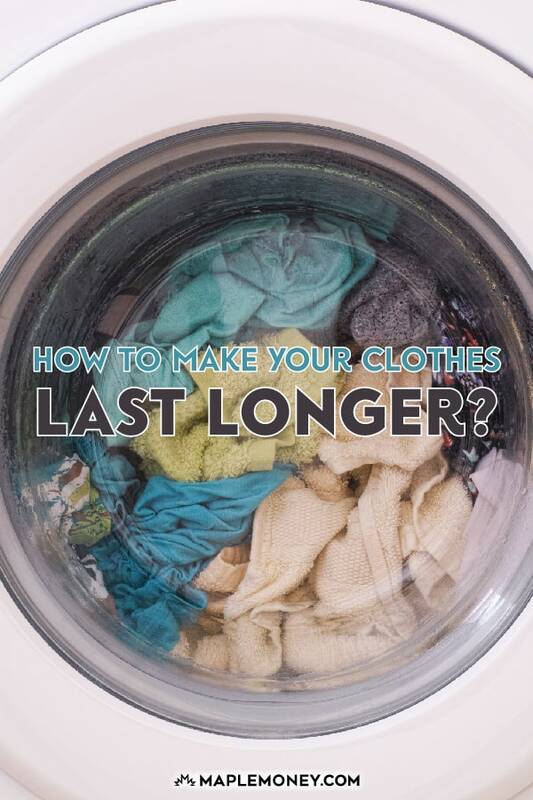 Making your clothes last longer is a great way to save money, both in your clothing budget and the reduced utility bills due to less laundry. With t-shirts and jeans I keep them for a long time, a lot of that has to do with the fact that I have a sentimental attachment to it. But I am not growing and they still fit so why get rid of them. Exactly Craig, if you like something and take care of it enough to still be wearable, then why not keep wearing it? I don’t really understand the philosophy that if something is from last year, it is no longer in fashion and shouldn’t be worn. I agree the washer and dryer really do a lot of damage to clothing. I wear suits a lot and they are never to be washed because the was will really ruin it. Even dry-cleaning is to be used sparingly. Instead, get a good clothes brush and be sure to brush them off after each wearing. I don’t like the bleach advice, though. Bleach is really strong and it will weaken the fibers of the clothes. Have you ever spilled bleach on a sweater and seen how it will put a hole in it? Even diluted, the same weaking will happen. Interesting article. I do agree that washing machines and laundry do damage clothing. Especially the tough chemicals used in the laundry. The best is to hand wash them. That too gently. As hard brushing may damage garments too. Some fabric softener after every was may also help keep the garment around for sometime and fresh after every wash.
I’m proud to say that most clothes inside my wardrobe are almost more than a year now. Still, these are in good condition. Not all people can really maintain their clothes. The best technique that I’m using is I don’t actually use washer. I know it’s difficult, but the texture of all my clothes remains the same since I can control the way I need to wash my clothes. I agree completely about over washing your clothes. I wear shirts at least 2 times and jeans about 4 times before washing. It really keeps the life of your clothes going. A little bit of preventative maintenance goes a long way too. Unless your buying the the most expensive top end clothes from quality tailors then most stuff these days is designed to last a short period of time and then be thrown away. Beef up your trouser pockets with extra liner before they wear out. The amount of loose change and keys that jangle around in my pocket these days rubs the hair off my legs let alone ripping my pocket linings. Just like maintaining a car, fix these things before they go right through and you will make them last that much longer. We are a group of Merchandisers. Serving the nation with dedication to uplift the per capita income and thus to upgrade our country from Least Development Countries (LDC) to the Developed Countries. This is our first project for those people who want to know something about Garment Merchandising process in this industry. Comments and Suggestions are always welcome from those, who are well educated in this industry. Join our forum at www.garmentsmerchandiser.info and share your knowledge. I have been hand washing my clothes and linens in the bathtub for about 15 years. I installed a couple of rods lengthwise, ( think of a shower curtain rod x 2), specifically to dry clothes and linens. I soak all of my items in tepid water for about and hour, I laid two rods across the edges of the bathtub on an angle to lift items out while the water drains. I let the excess water from them channel out and then refill the bathtub for the second “cycle”, and repeat laying them across the rods again. Finally for the “rinse cycle” I add fabric softener to the water before I dump everything in from the rods. For each cycle I knead the clothes while they are in the water. I wad the clothes onto the rods again and let them drain for about an hour and then hang. For heavier items like jeans, and towels I wring them out. For sweaters I squeeze the excess water out. Once the clothes are no longer dripping I hand them all along the radiator using two y shaped sticks with a long rod to serve as the clothes hanger. They are always dry the next day. From about April until October I line dry. Needless to say I have very expensive clothes and some of them are ten years old and look brand new. There is never any pilling, pulling or shrinking to contend with. My favourite pair of jeans lasted me six years and my favourite wool sweater that I wear often is about ten years old and looks brand new. I have delicate cotton dresses that i wash in baby shampoo and it has preserved the colour incredibly! For suit jackets and lined dresses whether they are wool, silk or linen I let them rest on the rods and gently press the water out, I reshape them on the hanger being careful to use rounded hangers and to align the shoulders properly on them, I smooth out the collars, body and sleeves. This works on items that are supposedly “dry clean only! My underthings have also lasted years and look brand new as well. It is so worth effort to me when I think of how much money I have saved and most importantly sparing the environment from having to use a washer and dryer. Yes it is a bit of effort but if you time it around other things like cooking while your wash is soaking, draining while you are eating etc you really only have to spend an hour…. less time than going to a laundromat. I also like that I can do laundry at night and then it is ready the next morning. I have three wash nights per week and it has just become a part of my normal routine. Btw use plastic coated metal broom rods as drying racks across the bathtub and aluminum rods, ( use curtain rods), so there won’t be any rust marks.  My clothes last decades because I practice “investment” dressing. I buy well fitting good quality classic well made jackets/slacks/skirts on sale (classic is always available – just wait until it goes on sale) and keep them in good repair. I buy the occasional trendier top or use jewellery to update my look. I shower daily so I don’t have to clean my clothes until I’ve worn them a few times. I rotate them so they have a chance to air between wearings. I dry-clean the dry-clean-only ones at an enviro friendly dry cleaner. The washables are washed inside out in my front loading washer with all natural (no sulphur laureate) laundry detergent and either vinegar or fabric softener in the rinse plus I choose the extra rinse cycle on my washer. For delicates, I tumble dry on warm for a few minutes to get the wrinkles and stiffness out and then hang them to dry. Natural laundry detergent is more expensive than the national brands but doesn’t have added abrasives or fragrance and, with the front loading washer, is gentler on clothes. I’m still working and I expect my clothes will last the five more years to full retirement without looking shabby. That is wonderful Sharon I have gorgeous cloths still in my closet from 10 years ago that have not gone out of style… mix and match… because buying the best makes it last.